If It's Hip, It's Here (Archives): Artistic Animated Alternatives To That Boring Burning Log - Yule Log 2.0. Artistic Animated Alternatives To That Boring Burning Log - Yule Log 2.0. First off, I hope you are having a very Merry Christmas. To add to your festive day of good cheer, egg nog and annoying relatives, here's a charming project that encompass the holiday Spirit. 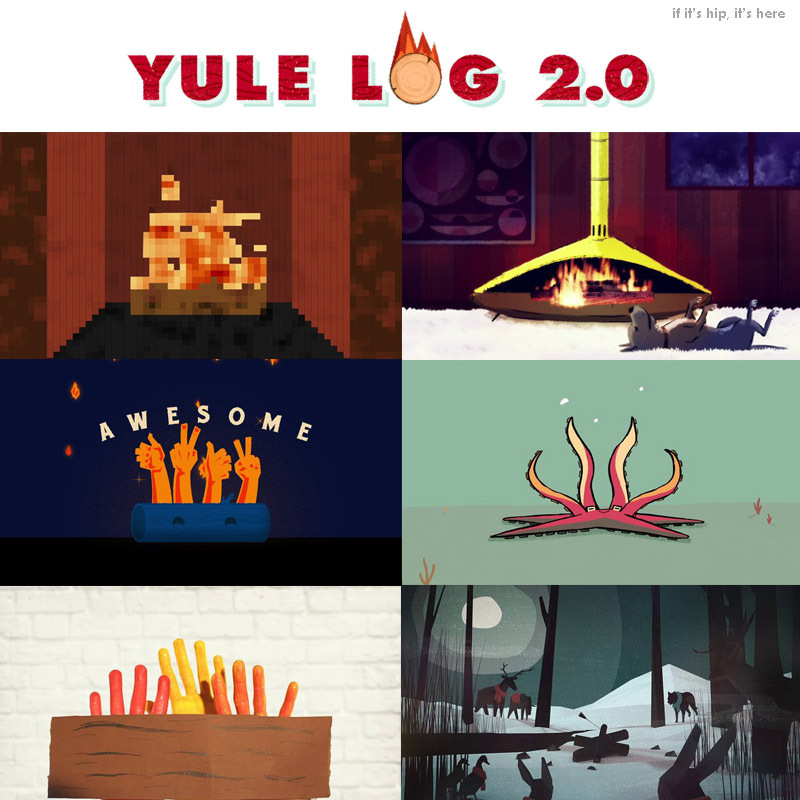 Yule Log 2.0 re-imagines the traditional Yule Log through a collection of short films by illustrators, animators, directors, and creative coders. First televised in 1966 by WPIX-TV as a gift to viewers, the Log has since burned itself into our hearts. Curated by Daniel Savage and built by Wondersauce, the site features the imaginative work of many artists. I have chosen to share most (41) of them with you here. Cesar Pelizer & Ganz Toll - Anybody Home?